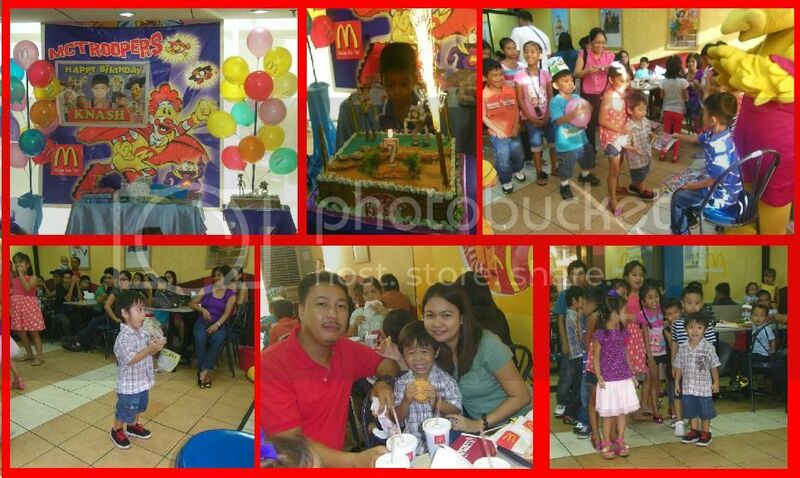 Last May 22 my hubby, Vince and I were attended the 7th Birthday party of our cousin in SM Lucena McDonald’s. I’m glad because at the age of 2 and 9 months old Vince was always joined all the games, that’s why he doesn’t know the games but he followed the instructions. Attending birthday party in McDonald’s has a lot of trivia games and we really enjoyed because I am the one who already participated the games :-). Anyway, they are fun for the whole family. Because birthday is the most joyous day in any kid’s life and kids want their birthdays to be full of fun & excitement. A children’s birthday party at McDonald’s is a magical experience they’ll always remember.